E-ktobe is a database on Syriac manuscripts which aims to collect information on texts, physical elements, colophons and notes. It will enable any researcher to make a request on texts, authors and codicological elements for all the Syriac manuscripts in the world. Thanks to this database, you can search for some material details, do multi-criterial research, and also make a request about one person connected with the making of Syriac manuscripts (copyist, restorer, sponsor, owner...). The main scientific goals of this project are to give insight into the cultural history of Syriac communities and develop Syriac codicology. Unfortunately the database seems a bit sparse at the moment. If there are 10,000 extant Syriac manuscripts according to one recent estimate (Binggeli, p. 502), then the current database lists about 5% of all Syriac manuscripts. At the moment, a search of the largest catalogue in Europe (the British Library) only turns up five results! Given this, the 136 results filtered for Old and New Testament should be taken as a drop in the bucket. On the topic of Syriac, the latest issue of Novum Testamentum has an article by Christophe Guignard on one of the newest majuscules to receive a Gregory-Aland number. In the under text of the Old Syriac palimpsest Codex Sinaiticus, there are four leaves of John’s Gospel from the 4th-5th century. This text has been known for 120 years but is only now receiving its proper GA number. Sadly Guignard doesn’t give us any pictures. The article is “0323: A Forgotten 4th or 5th Century Greek Fragment of the Gospel of John in the Syrus Sinaiticus,” NovT 57.3 (2015), 311-319. 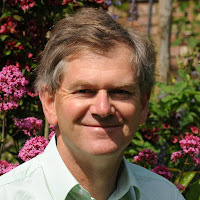 The Queen has recognised David Parker’s contribution to New Testament Textual Criticism (and incidentally ‘Higher Education’) by appointing him as an Officer of the Order of the British Empire (OBE). This means David is now eligible to wear various complicated Vestments and Accoutrements (at least according to wikipedia), to defend the honour of Queen, Country and Empire against all challenges, and to enjoy a day out at Buckingham Palace in the company of the England cricketer James Anderson, the rugby players Jonny Wilkinson and Jonathan Davies and the actor Benedict Cumberbatch. The main research focus of this study was to determine more clearly to what extent Atticism influenced textual variants that are considered to belong to the Alexandrian text type. Since the time of Westcott and Hort, the Alexandrian text type has been regarded as a manuscript tradition which is representative of relatively high stylistic Greek. This assumption seems likely, especially given the fact that Alexandria and the areas which gave rise to the manuscripts comprising the Alexandrian text type were cultural centres of learning as well as of a newlyfound Hellenistic awareness within the Roman Empire. One of the movements stemming from this newfound awareness was Atticism, which was, amongst other things, an artificial literary movement which strove towards emulating the classical Attic literary dialect. However, in the last few decades the question of the alleged presence of Atticist influence in the manuscripts of the Greek New Testament has received its share of conflicting scholarly treatment among textual critics, especially since the 1963 publication of G.D. Kilpatrick s influential article, Atticism and the text of the Greek New Testament. On the one hand, there is common assent that Atticism exerted a profound influence on all Greek prose of the first century. On the other hand, some difference of opinion exists as to whether Atticism actually influenced the composition of the New Testament text in any significant way. The influence on the transmission of the New Testament texts is another question that still needs a fuller treatment in order to proceed from mere scholarly opinion to a more established empirical degree of certainty. The current study is an investigation into the nature of Atticism and its relationship with the classical Attic dialect. The results of this investigation were then used as basis for an evaluation of the alleged Atticisms in the Alexandrian witnesses, taking the witnesses to the text of I John as sample. In the process, thoroughgoing eclecticism as text-critical method is evaluated, and an adapted reasoned eclectic method proposed with which to conduct the investigation of the variants in I John. The results have shown that in the textual tradition of I John, inconsistencies of correction and scribal usage occur frequently within the Alexandrian text type and that the correction was predominantly not towards Attic, but rather displayed a tendency towards Hellenistic-Koine usage. 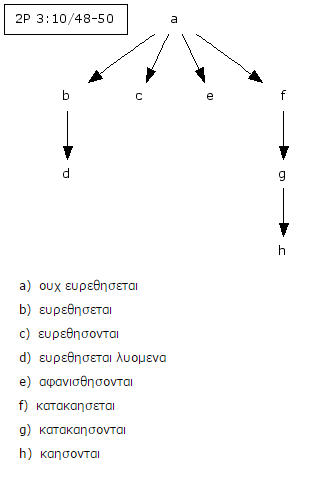 In summary, the investigation demonstrates that the uniformity of the Alexandrian text type as a whole, if not completely suspect, should at least be judged very critically when it comes to matters of characteristic features which have for decades been accepted as true, such as the Alexandrian text type s reputation as one displaying stylistically polished Greek. 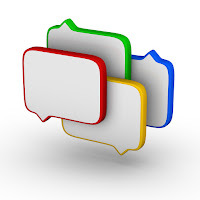 The investigation of I John has shed valuable light on the methodological presupposition that categories of text types are fixed above all doubt, and that they display general typical characteristics. This presupposition has been exposed as false and indicates that one follows it at one s methodological peril. 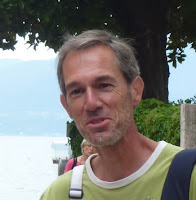 The March issue of Ephemerides Theologicae Lovanienses has an article from Thomas Kraus exploring what text critics need in their critical editions with an interesting example from Luke 14.5. The article is “Kritische Ausgaben des Neuen Testaments und Textkritik: Anmerkungen anhand von Lk 14,5 als Testfall?” ETL 91.1 (2015): 111-130. In the first part of the article, Kraus raises the following four questions which are then explored by way of Luke 14.5. What kind of data and how much do we need in our critical editions? Here he mentions the Internet Greek NT Project which “intends to collate and transcribe all extant manuscripts of the New Testament”—an ambitious goal to be sure! Must someone working on the text have all available variant readings? What about nonsense readings and how should such be determined? What role does the plausibility of the origin and development of a reading play in relation to the quantity and quality of witnesses that attest it? Luke 14.5 is a good choice because Kraus discusses the possibility, suggested by Martin and Kasser in the editio princeps of P75, that the majority reading υἱὸς ἢ βοῦς (“a son or an ox”) was originally ὗς ἢ βοῦς (“a pig or an ox”). Martin and Kasser suggested that the original reading could have been corrupted by way of the supralinear line such that υϲ became the nomen sacrum υ̅ϲ̅. The problem with the reading, as Kraus acknowledges, is that none of our witnesses attest υϲ without the supralinear line. Following a question on Facebook regarding whether the CBGM had influenced the conjecture at 2 Peter 3.10 (οὐχ εὑρεθήσεται), I thought it would be good to have an index of all the places where there has been discussion of the CBGM in relation to particular variants. At the moment, this is as close as we can get to having any kind of textual commentary on the Catholic Epistles. Reading through the examples from the editors really is the best way to get a sense for how the CBGM is influencing their textual decisions. So having them all in one list is handy. I’ve split the list into discussions (a) published by those working on the Nestle/ECM text and (b) those who aren’t. The format here is pretty straightforward. After each verse reference I give the source number followed by the page number. Some of these are more illustrations than discussions, so I’ve tried to mark with an asterisk (*) those places where the source is most explicit about how the CBGM has influenced a particular decision. Most of them are, however, still very brief. Let me know if I missed any. the best single source for discussions is now Klaus Wachtel’s article on Acts published in the TC journal (2015). It’s #11 under Discussions by the Editors. 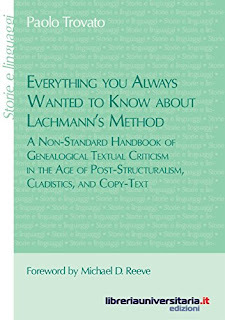 This list can also be found at the end of Peter J. Gurry, “How Your Greek NT Is Changing: A Simple Introduction to the Coherence-Based Genealogical Method (CBGM),” JETS 59, no. 4 (2016): 675–689. 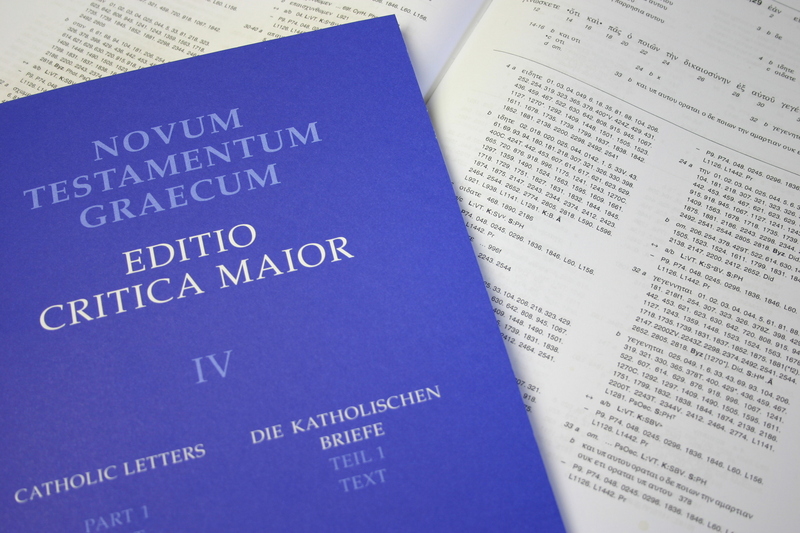 Do you know what is missing in Legg’s volumes on Matthew and Mark? they have no page numbers! S.C.E Legg, Euangelium secundum Marcum, Nouum Testamentum Graece secundum Textum Westcotto-Hortianum. Oxonii: e typographeo Clarendoniano, 1935. ———. Euangelium secundum Matthaeum, Nouum Testamentum Graece secundum textum Westcotto-Hortianum. Oxonii: e typographeo Clarendoniano, 1940. 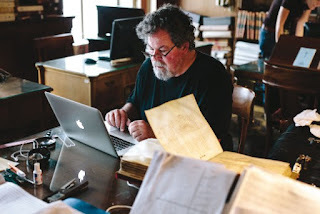 As noted earlier on the blog, CSNTM is currently on a major expedition in Greece digitizing the entire Greek NT collection of the National Library—over 300 manuscripts. It’s a huge undertaking and the results should be well worth it. If you read modern Greek (or know how to use Google translate), there are two articles in the Greek press on the expedition. There are some nice pictures included. Godspeed to the team, especially in what look like very tight working conditions! In further confirmation of Head’s Rule, Dan reports on his blog of discovering an uncatalogued manuscript of the apostolos in the binding of a 12th century lectionary. A completely revised and expanded third edition of Text-Critical Use of the Septuagint in Biblical Research will be published by Eisenbrauns this summer. The first two editions of this handbook, published by Simor of Jerusalem (Jerusalem Biblical Studies 3  and 8 ), received much praise but have been out of print for a considerable period. 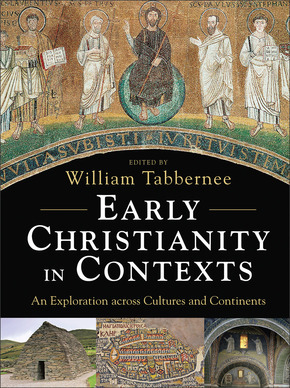 This third edition presents a completely revised version of the previous editions based on the many developments that have taken place in the analysis of the Septuagint, the Hebrew Bible, and the Qumran Scrolls. Much new information has also been added. Eisenbrauns has been involved in the marketing of the previous two editions and is proud to offer now its own completely new edition. 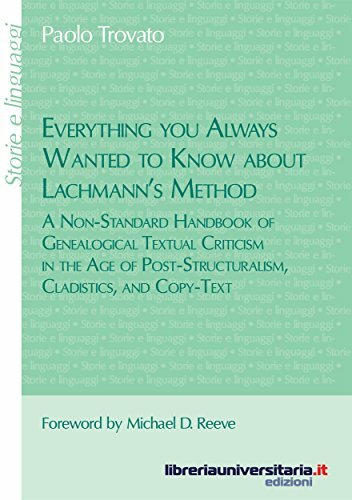 A must for students of the Hebrew Bible, textual criticism, the Septuagint and the other ancient translations, Dead Sea Scrolls, and Jewish Hellenism. Bibliographic info: ca. xxvi + 260 pp. Purchase the Tov book and Barthélemy’s Studies in the Text of the Old Testament together and Eisenbrauns will give you the Barthélemy book for 30% off. Just enter TOVETC in the “Purchase Order” field of your order when you check out. If you want to italicize something, just enclose it in <em> or <i> tags like so: I <em>love</em> the ETC blog = I love the ETC blog. Notice that with HTML, the closing tag is always marked by a forward slash (/). This tells the browser where to stop italicizing. You can do the same with bold using either <b> or <strong> like this: I <b>hate</b> using von Soden’s apparatus = I hate using von Soden’s apparatus. Links are slightly more complicated but will make you feel young and hip. To use links, just enclose your text in an <a> tag and put your URL in the href attribute like so: <a href="http://tinyurl.com/pweo5bv">don’t end up like Peter Head</a> = don’t end up like Peter Head. Like all good things, use in moderation. P.S. On the subject of the blog, I’ve removed the Google Friend Connect box from the sidebar because it was super slow. (For all two of you that still use it, it is accessible from the green “g” in the sidebar.) I’ve also fixed up the mobile version of the site so you can waste more time read the blog on the go. As always, let me know if you encounter problems. NA26 (published in 1979) listed NT papyri up to P88; and majuscules up to 0276. NA27 (published in 1993) listed NT papyri up to P98; and majuscules up to 0301. NA28 (published in 2012) listed NT papyri up to P127; and majuscules up to 0303. P128 is the Johannine portion of P44, now categorised as a separate papyrus, following (I presume) the conclusion in the IGNTP John Papyri volume that the two fragments ‘are without doubt by different hands’. (photos of the small John fragments are in that book as well as at the VMR). Interesting that the Liste states that they are all from a single page, this would suggest a possible liturgical text (as the original editors). The John transcript folk have provided a transcript (the clue is in the name) which places the different fragments over three separate pages (and hence reflecting a continuous text). These three are not attributed to any particular location, but clearly are the first fruits of the Green Collection papyri. So congratulations are due to the Green Collection for that. Clearly they are making progress on the publication of the first volume of their Greek papyri (mentioned previously on this blog). No photos are available as yet (although somewhere on this blog there is a fuzzy photo of the Romans papyrus). It is, of course, interesting to note that the dates now assigned to these papyri are a century later than were first pronounced (as this blog has suggested on many occasions). On other details we await the forthcoming publications. Majuscules up to 0323 are also listed. Many of these are extremely interesting, but I don’t have time right now to work through them all. The website for the Institut für Neutestamentliche Textforschung (INTF) is being updated. The new URL is uni-muenster.de/EvTheol/intf and not all the old content is available there yet. But they’ve just put up a link to the old website which is available at egora.uni-muenster.de/intf. Moving websites can be tricky. So it’s worth keeping an eye out to make sure everything gets moved safely. The NTVMR website has also just been updated with a new design and updated backend. Troy Griffitts explains, “You should notice many new things on the NTVMR starting this week. We’ve upgraded to a newer version of our portal framework, and many new features are available for you to use.” If you look at Troy’s own page you’ll notice some interesting new items like Matthew Transcriptions, Coptic Collations, and Apparatus Builder etc. Not all of these seem to be working at the moment, but lots to look forward to.